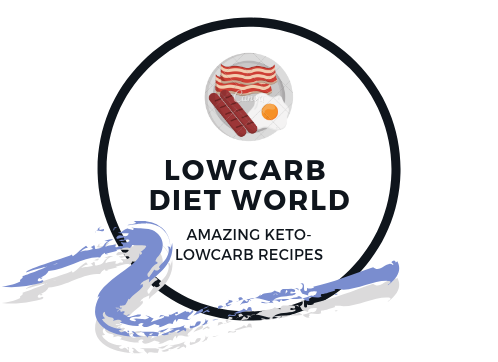 A keto shrimp scampi recipe! Because when you put your mind to it, anything can become a pasta noodle. To keep the carbs low and transform traditional shrimp scampi into a healthy meal, we replaced linguine noodles with summer squash. Yep, that’s right; squash noodles.Don’t forget to PIN IT for later! First thing’s first, you’re going to need a spiralizer tool of some sort to cut your squash into noodles. If you want to turn a vegetable into a noodle, there’s no way around it. There are tons and tons of different spiralizers on the market: handheld, stand-alone, and even KitchenAid attachments. For something like summer squash, you can get away with a handheld spiralizer. The veggie is long and skinny, making it easy to twist out noodles by hand. They’re quite a bit cheaper than the heavy duty stands and attachments, so if you’re just testing the waters, you might want to go this route before investing in a more elaborate set-up. I have this one that’s usually around ten bucks on Amazon; best handheld spiralizer I’ve tried! Pro tip: If you’re a veggie noodle fanatic, then entirely without a doubt upgrade yourself to a stand-alone! You can tackle the wider, larger vegetables. I can even do shredded cabbage with mine! Worth it. Once you cut your noodle shapes from the summer squash, I spread them out over paper towels and salt them to draw the moisture out. Summer squash tends to be moist, and if you don’t take this step first, the dish will become watery as it cooks. Just let the noodles sit for a good 15 minutes to a half hour, then blot away the water before cooking. They don’t take long to cook! Simply toss them in the pan for a few minutes. Summer squash is a great choice for keto pasta noodles. In 100 grams of summer squash, there are only 2.88 grams of net carbohydrate! Summer squash is a good source of potassium and Vitamin A, which is excellent when battling keto flu and managing electrolytes. It also manages to be incredibly filling while clocking in low in the calorie department, making summer squash a diet-friendly winner on all counts. Oh yeah, it’s also DELICIOUS. Super easy! First, you cut up the squash noodles as described above. Then, you get started on the sauce. The sauce is straightforward: melted butter, a bit of chicken broth (you can use wine though! ), red chili flakes, and some lemon juice. Add in your shrimp, shell on or off – up to you, and simmer until they start to turn pink. Drop the heat, season to taste with salt and pepper (which if you’re anything like me, loosely translates to “season generously“), then throw the rest of the ingredients in the pan. Give the noodles and parsley a good toss in the sauce, get the shrimp spread out nice and evenly throughout the dish. Voila! Keto shrimp scampi! Looking for more keto shrimp recipes? With summer squash instead of linguine, this shrimp scampi is totally keto friendly! Cut summer squash into noodle shapes using a spiralizer tool. Spread noodles out on top of paper towels. Sprinkle with salt and set aside for 15-30 minutes. Blot the excess moisture away or lightly wring out with dry paper towels. In a saute or frying pan, melt butter over medium heat. Add chicken broth, lemon juice (or wine), and red chili flakes. Bring to a light boil, then add in shrimp. Simmer until shrimp begin to turn pink and reduce heat to low. Taste the sauce, then mix in salt and pepper to your liking. Add the summer squash noodles and parsley to the pan and toss to distribute the shrimp and coat the noodles in sauce. Remove from heat and serve.